Malevich painted his Red Square in 1915, entitled Painterly Realism of a Peasant Woman in Two Dimensions. The Black Square and the Black Circle preceded that in 1913. The movement (the displacement) finally combined in the Black Square and Red Square painting. Humbly paying a tribute to the square. 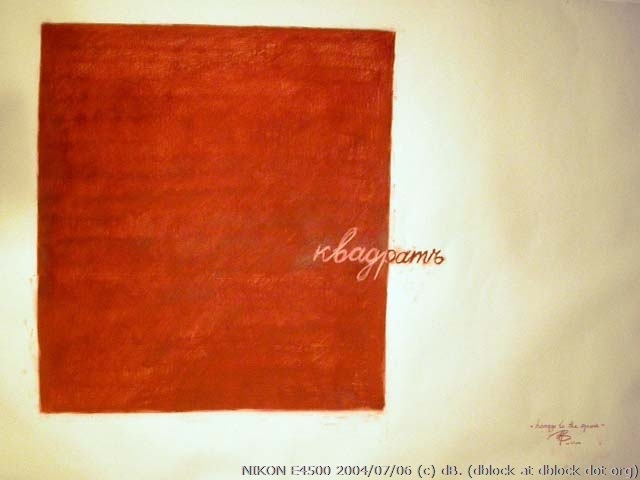 Red Square, a Humble Tribute to Kasimir Malevich was published on July 07, 2004 .